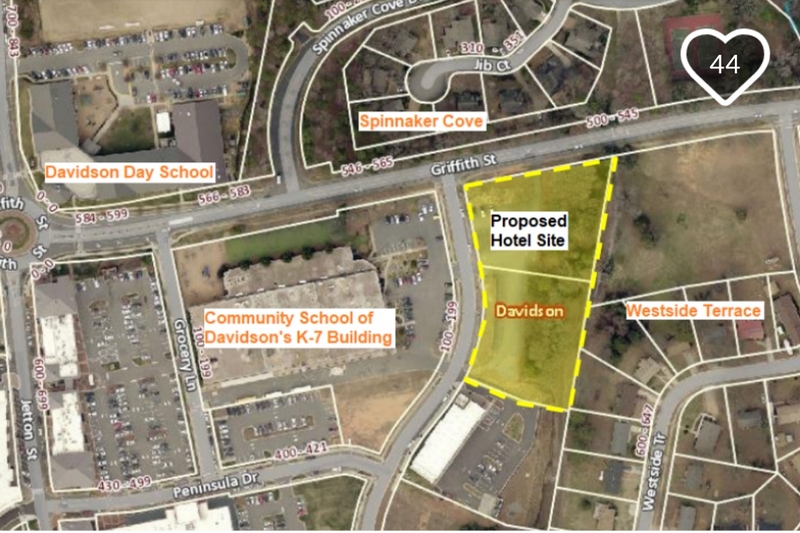 In November 2017 after getting shellacked in an election, the outgoing Town of Davidson Board approved a controversial rezoning to allow a Hyatt Place hotel next to the Community School of Davidson K-7 building on Griffith Street and adjacent to vulnerable neighborhoods in the Exit 30 area of Davidson North Carolina. Why the developers and the Hyatt brand would want to push an unpopular project on a community is a question beyond comprehension to those it impacts. This page provides links to all the stories aShortChronicle has written over the past 2 years on the project. 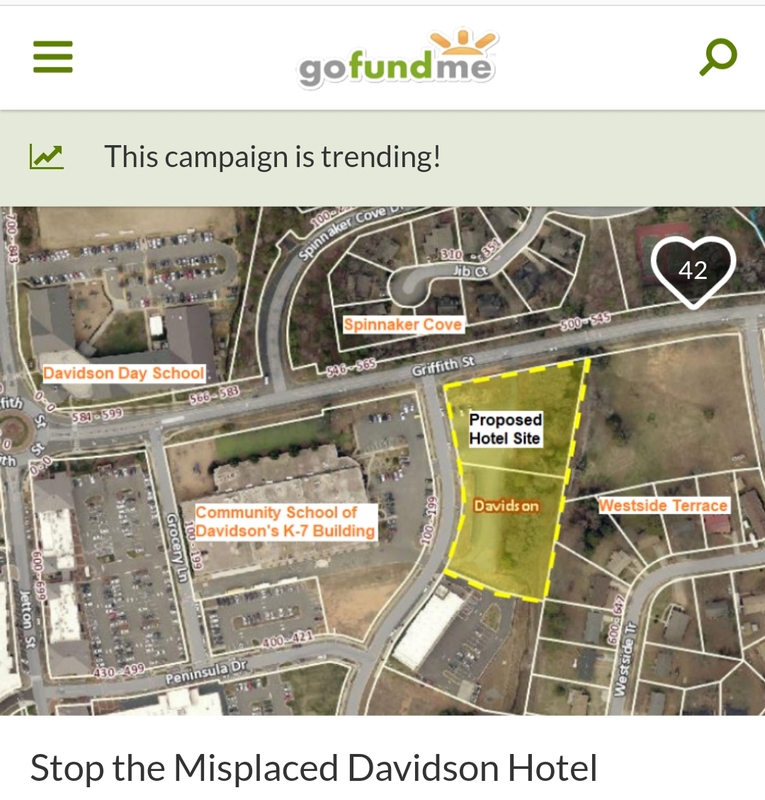 Hyatt needs to #dotherightthing and #pulltheflag on this project. Oct 25 2017 Griffith Street Hotel...Who will stand for the children? Oct 24 2017 With conditional vote on Griffith Street Hotel looming, choose your candidates wisely. Aug 23 2017 2nd info-bomb for Davidson Board on Griffith Hotel - It's all about safety! Aug 13 2017 Did the "Davidson Way" skew ecit 30 hotel TIA? Jul 26 2017 BREAKING NEWS: New Exit 30 hotel plan. Oct 17 2016 #Catalyst2 Davidson Hotel...Traffic Impact Analysis to be completed. Parking to be major question. Sep 16 2016 Who really wants new Griffith Street Hyatt Place hotel? Sep 06 2016 #Catalyst2.0: Is Davidson as committed to its values as Venice Beach in 2007? Feb 08, 2016 BREAKING NEWS - Possible new hotel at Exit 30?